That’s not to say I’m without passion for other things in life. Family comes first. I’m blessed with a beautiful wife and daughter who are a constant reminder of what’s truly important in life. One thing my wife and I have always been able to bond over is food. If you need a category I guess we’re “foodies”. We cook (she’s better at it), we buy from local farms (check out my friends at Central Mass Locavore), I hunt, and if we have a date night available it’s fairly certain we are heading to a restaurant. We have to eat, so why not enjoy the heck out of it? Understanding what we eat also helps us stay healthy, so it’s a win-win. Deeper down the rabbit hole, you might find me working at becoming more proficient with woodworking, fixing a car, building/fixing something around the house, skiing, photographing something, playing golf, reading, or just out for a walk. 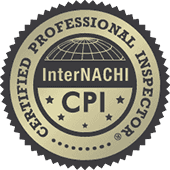 As far as credentials go, I hold an associate degree in automotive technology from Mount Wachusett Community College, a bachelor degree in business (marketing/finance) from UMASS, a plethora of specialty education credits within the real estate and home inspection industry, I’m a Certified Professional Inspector through the International Association of Certified Home Inspectors (the largest (and in my humble opinion the best) organization of its kind), and of course, licensed through the state of Massachusetts (license #821). How does your service stand out? I try do the most important things really well. Good communication, high quality inspections, a willingness (and a natural curiosity) to go into the "yucky" places of a house, and concise reporting. I do what I think is right, and it consistently leads to me to good things in my life. What do you enjoy about the work you do? Inspecting houses in Massachusetts is interesting. It's not unusual to inspect a house built 150 years ago in the morning, and modern construction the same afternoon. I also have the honor of being part of something very important to people. When someone hires a home inspector they are putting a lot of faith into one person. What education and/or training do you have that relates to your work? I'm constantly reading, seeking out experts to bounce questions off of, taking credit course work specific to home inspecting, doing projects that help me learn new stuff, and I was lucky enough to apprentice under a great home inspector. I'm constantly learning. I think it's when we decide we "know enough" that we get ourselves into trouble. I also grew up with tools in my hands, and have worked with them professionally, so learning about "how things work" is sort of my natural frequency. What advice would you give a customer looking to hire a provider in your area of work? Read a sample report to see if their style suits your needs. Each company chooses how they present the information gathered at the on-site inspection; some choose checklists, some choose handwritten reports, etc. In my humble opinion a photo-driven narrative style report is most effective. You're not likely to remember everything we talk about on site. There will be a lot of new information coming at you, and many other variables you need to compare that new information against (what you're paying for the house, your level of risk tolerance, your repair skills and connections to people with repair skills, market value of the property, etc.) to rely completely on your memory. An effective report provides lasting clarity. Outside of work, what is something notable that you've done? This one is a little "out there", but people seem to find it interesting, so here goes nothing. My wife and I went on a 10 day silent meditation retreat. Seriously, we didn't see one another (men and women are separated to avoid distractions) or talk to another human being for 10+ days. It was a really interesting experience. Not something I can sum up in a few words, so feel free to ask me about it if we ever meet.